Betty is a filmmaker and fundraiser. Currently, she works at the Toronto Reel Asian International Film Festival as its Development and Programming Associate. Byline: Betty is a filmmaker and fundraiser. Currently, she works at the Toronto Reel Asian International Film Festival as its Development and Programming Associate. I have always characterized myself as a somewhat accidental fundraiser. With an academic background in Cinema Studies, I started working for film festivals ever since my university years. When I joined the Toronto Reel Asian International Film Festival, there was a real need to restructure the organization’s membership program and increase its individual giving revenue. That was how I got into fundraising. Before I knew it, I was overseeing the festival’s membership program. Over the last three years, one thing that has become increasingly clear to me is that fundraising for the arts is at times an entirely different beast from fundraising for other kinds of non-profits. In this post, I want to share several challenges that every fundraiser in the arts probably has encountered at one point or another, and try to provide some tips on tackling these challenges. Early on in my involvement with the Toronto Reel Asian Film Festival, I noticed a strange occurrence. Every time we asked for donations at an outreach event or a film screening, there were always people that frown and wonder, “what do you guys do again?” This is a question that my fellow fundraisers working for universities or hospitals rarely need to answer. Many people neglect that arts are in and of themselves legitimate causes that deserve support. Arts enrich our lives and provide the foundation of our culture. In Canada, there are over 13,700 arts non-profits, accounting for 9% of nonprofit and voluntary organizations. Only 5% of these arts non-profits have annual revenue of half a million and more. Without a doubt, arts need more support from donors. The first and foremost task for fundraisers in the arts is to sharpen their organization’s case for support. Start with answering very basic questions: whom does your organization serve? Why does your organization exist? What niche idea of the arts does your organization present that other arts organizations don’t already fill? Provide these answers to any new staff being oriented, and make sure everyone at your organization can answer these questions.This will help to spread the word about your organization, answer questions that donors may have and legitimize your organization’s need for support. In an ideal world, the case for support of arts organizations would be organically promoted or communicated when donors get the opportunity to meet the artistic director or board members. At a film festival, for instance, individual donors always love to hear the programmer’s vision for the festival’s line-up and get reassured that the festival is on track with fulfilling its mandate. In reality, to get the staff or board to chip in their efforts takes a lot of work. Most arts nonprofits lack the budget to have many staff members. The National Survey of Nonprofit and Voluntary Organization shows that in Canada, a sheer 63% of arts organizations are run entirely by volunteers, and 20% has between 1 to 4 staff. As a result, every staff in an arts nonprofit usually functions as a one man department, and there is a tendency to shove all the money concerns to either the Executive Director or Development Officer. At your next all staff/board meeting, ask your staff/board to provide three points on why donors should give to your arts organization. Get them think about your case for support. You would be surprised the ideas that they have and how proactive some of them would become once you invite them to think as if they were in your shoes. 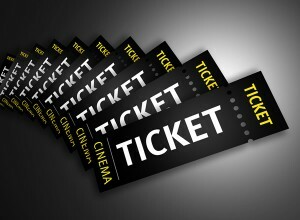 Going to a film festival or a gallery is fun, and providing a complimentary ticket to a film screening, a show or an event is indeed one of the best ways to court a potential donor. As fundraisers, our best wish is that once these potential donors receive a perk, they would become grateful, see the value in investing in the organization, and pro-actively give. That unfortunately is not always the case. The downside of providing complimentary tickets or perks is that people might get the idea that your organization is entertainment oriented. Some might even think by knowing you, they have an “in” for all complimentary entries. I am not going to lie,I am still struggling with striking the balance between showing goodwill to prospective donors and courting them too much that it hits a point of no return. Follow-up after you provide the complimentary screening, event or show is over. Get their feedback on their experience and keep the line of conversation open. Donors for arts organizations usually love to talk about their thoughts on the work that the organizations curate. These one-on-one conversations will provide a wide enough window for you to clarify the organization’s’ need for support and make the ask. “Arts and Culture Organizations in Canada,” Imagine Canada, 2006, http://www.imaginecanada.ca/sites/default/files/www/en/nsnvo/k_arts_culture_factsheet.pdf. Accessed 12 Aug. 2016.